Mormon Tabernacle Choir director Mack Wilberg is known for his ability to direct the voices of angels, but his recent project takes place somewhere unexpected – the Utah State Prison. 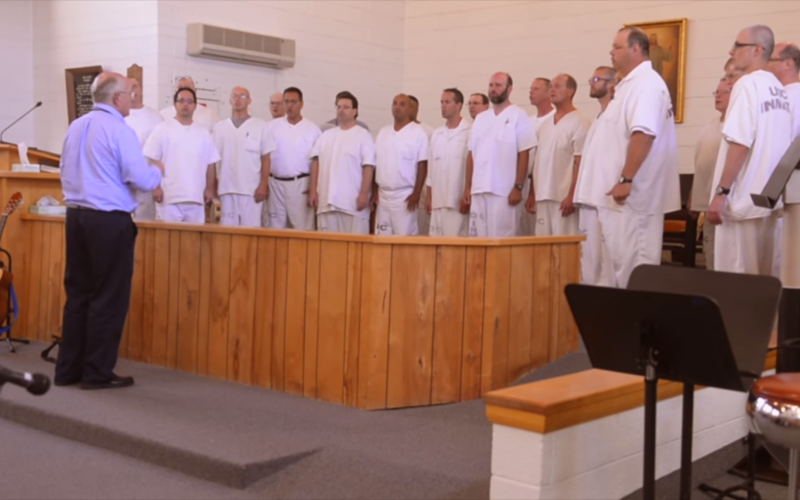 Earlier this year, David Aguirre reached out to Wilberg in the hopes of finding a member of the Tabernacle Choir who might be willing to lead a few classes in the prison’s Wasatch Music School program. Wasatch Music School offers several courses to inmates, but everything is run on a volunteer basis. To Aguirre’s surprise, Wilberg himself offered to teach the workshop. The workshop began back in February, and Wilberg admits that he was nervous at first since he didn’t quite know what to expect. Soon, though, he became impressed with the inmates’ dedication and desire to learn music. Wilberg said he was moved by the fact that all these men had come together to sing and learn music despite all the trials and hardships in their lives. On the occasion that Wilberg hasn’t been able to make it, his co-director, Roland Pitt, is in charge. Pitt has a PhD – level education in classical piano performance and was the one who accompanied the choir during their recital. Along with piano, Pitt is also a skilled organ player who can also play the string bass and is in the process of learning how to play the violin. Pitt said the choir is a rare opportunity for him and his fellow inmates to work toward goals. Pitt had already helped the choir establish itself by the time Wilberg arrived which helped to inspire him to continue working with the group. Pitt initially decided to start teaching music at the prison as a way of making up for past mistakes. He believes that it has had been the same sort of outlet for other inmates and gives them a way to contribute back to the community.